The Abbracciamento family is much bigger today than it was when their restaurant started in Rego Park 65 years ago. Joe Abbracciamento Restaurant cooked up its final dish over the weekend before the community staple closed its doors for good Sunday. Owner John Abbracciamento said the amount of emotional support was overwhelming at times and left him feeling like everyone was part of the family. Abbracciamento said it would take a few more days for the reality to hit him, and he expects it will strike him rather hard. The owner called the closing weekend a fitting tribute to the institution that became a Rego Park staple over its many years in business. By the time they closed their doors, it was easy to see how emotionally attached Rego Park had become to its beloved Abbracciamento name, the family said. 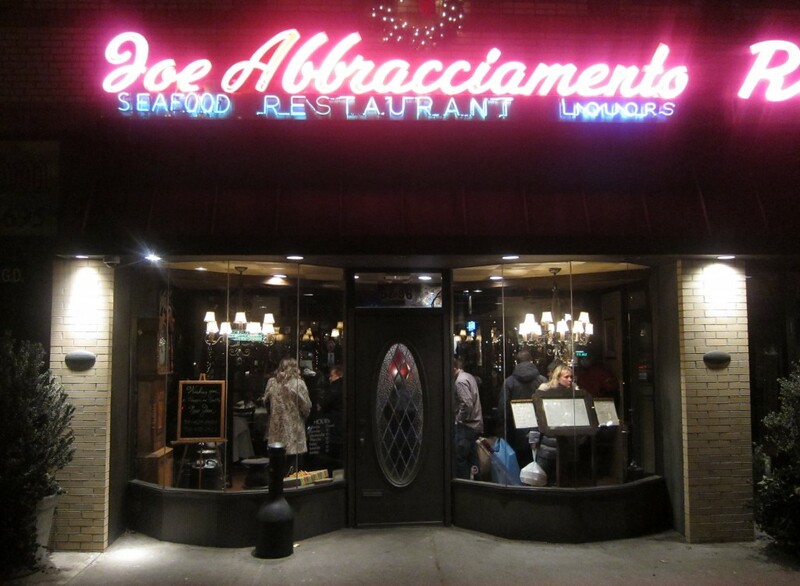 The Joe Abbracciamento Restaurant set up shop at 62-96 Woodhaven Blvd. in 1948 when John’s father, Joe, returned to Queens from serving in World War II. The eatery evolved over decades into a Rego Park mainstay best known for its top-of-the-line Italian dishes. Over the course of more than six decades, owner Joe Abbracciamento said the restaurant had grown into much more than a restaurant and grew its resume to include serving dishes to some of the borough’s biggest names – including former Vice Presidential candidate and Forest Hills resident Geraldine Ferraro – who left with full stomachs. The restaurant always remained within the Middle Village-based family from its inception to its end. Joe Abbracciamento and his wife Connie helped establish the eatery and eventually passed it down to their children, Joe, John and John’s wife Marie. Through every dinner rush and catered event, John said it was the restaurant’s supportive fan base that kept him coming back. It will also be the driving factor in whatever the family’s next move might be, the restaurant owner said. While he was still ultimately unsure of his next move, John Abbracciamento said this might not mean the end for Rego Park’s Italian utopia. He said curious customers would not stop asking him where he was headed next all the way through the final dinner service.